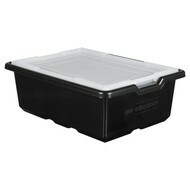 This storage box available in black. 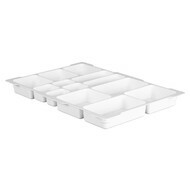 Each box has a transparent lid and is stackable both with and without the lid. The box is similar in size to the storage boxes for LEGO MINDSTORMS Education EV3 and Simple & Powered Machines.